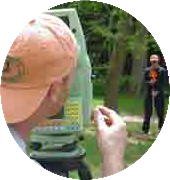 Outermost Land Survey, Inc. is a company that enjoys the art and science of Land Surveying. Outermost Land Survey, Inc. is excited to announce the offer of Land Dispute mediation called Real Estate Alternative Dispute Solutions (READS). Donald T. Poole, Professional Land Surveyor (PLS), has successfully completed Mediation Training and the Advanced Courtroom training approved by the Mass. Bar Association under the supervision of Cape Mediation. Twenty five years of experience have proven to Cape Mediation that mediation can provide a cooperative alternative to a lengthy court battle and a preferred outcome because the parties develop and agree upon the solution themselves. 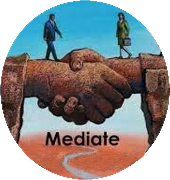 Experience has shown that mediation is a tool that allows the parties the opportunity to create a solution that they are in control of and a judge typically could not impose. As a Professional Land Surveyor with 30+ years of expert witness testimony, Mr. Poole has extensive awareness of the tools used to make agreements regarding land use issues. Mr. Poole can help you find a mutually agreed upon solution. Your attorney can be involved in the mediation process and will be required to write up any agreements that can impact the title of your property. GPS Enabled, Real Time Kinematic (RTK) and Control Surveys Survey quality GPS units, the Sokkia GSR2700ISX, allows Outermost Land Survey, Inc. to acquire on site data more rapidly than traditional methods as well as perform large scale “control” projects where accuracy over large distances is necessary. Using GPS equipment, Outermost Land Survey, Inc. can assist you in keeping your current GIS data Base information more current and updated in a timely manner. Prior to construction of any shore front structures there is an extensive permitting process that must be completed. In order to apply for the permits detailed construction plans must be submitted along with an accurate topographic survey that defines the lay of the ground under the water courses. Outermost Land Survey, Inc., with it’s extensive experience in hydrographic surveying, can prepare these base plans for the design professional to use in their construction and permitting plans. An accurate survey of one or more parcels of land made to establish or to re-establish boundary lines on the ground, or to obtain data for preparation of a map or plan. Plans will usually show boundary lines and evidence of the same, buildings, monuments found or set, easements and rights of way, encroachments and lines of occupation, and other items affecting the real property being surveyed. 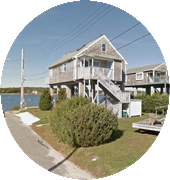 Outermost Land Survey, Inc will normally research records at the county Registry of Deeds and other municipal offices, as they relate to the property surveyed and abutting properties. 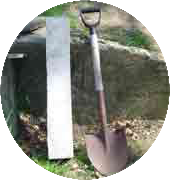 If deed descriptions or evidence on the ground are vague or conflicting, research and field investigation can be more extensive. The survey plan is often recorded as a permanent record in the county Registry of Deeds, and is relied upon for the preparation of a legal description of the property. Topographic plans are primarily used by design professionals such as Civil Engineers, Architects, or developers. 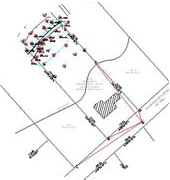 This is one of the most exhaustive surveys prepared by Outermost Land Survey, Inc. and it requires Research at the Registry of Deeds to obtain current deeds and Plans of record, a field survey to determine site features including elevations for contour locations, accurate boundary determination, location of easements and utilities, and other significant features that the design professional may require, such as unique trees, wetland boundaries, or even isolated rocks. When litigation is necessary to defend your property rights one important member of your team is the Professional Land Surveyor. The in depth research required to prepare for a court case demands patience, thoroughness, and commitment to the purpose. 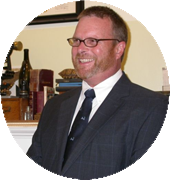 Mr. Poole has over 30 years of experience and has testified in the Mass.land Court many times. Look at Land Court Case MISC 05-309537 (Allison) for a complicated boundary dispute, and Land Court Case MISC 98-250365 (Cater) for a right of way issue. Title insurance protects the property owner against any flaws that may not have been found by the title searcher when the land and/or house were purchased. Title insurance surveys and plans provide information relied upon by title insurance companies to insure title of the real property to be free and clear of survey matters, except those disclosed by the survey and indicated on the plan. Since title insurance policies often include a survey exception for residential properties, title insurance surveys are usually required only for commercial properties. Recognized standards for title insurance surveys are contained in the "Minimum Standard Detail Requirements and Classifications for ALTA/ACSM Land Title Surveys" as adopted by the American Land Title Association and the American Congress on Surveying and Mapping, and as last amended in 1992. If title or boundary line problems can not be resolved by other methods, Land Court surveys and Plans may be required to eliminate the problem. Land Court surveys are Boundary surveys that have to be performed in accordance with a detailed "Manual of Instructions for the Preparation of Plans to be Filed in Land Court", which was last amended in 2006. The Land Court engineering department in Boston, Massachusetts, is familiar with surveyors who are qualified to submit plans to the Court. The Engineer for the Land Court will not accept any plans that are not prepared in accordance with their instructions. An Elevation Certificate is an important tool that documents your building’s elevation. If you live in a high-risk flood zone you should provide an Elevation Certificate to your insurance agent to obtain flood insurance and ensure that your premium accurately reflects your risk. Obtaining an Elevation Certificate can also help you make decisions about rebuilding and mitigation after a disaster. Outermost Land Survey, Inc. is dedicated to providing timely, efficient and accurate Land Survey services suitable for a wide variety of project specific requirements. Donald T. Poole, PLS has been a Licensed Professional Land Surveyor since 1981 first in the states of Tennessee, Kentucky and West Virginia and now Massachusetts. In 1983, Mr. Poole returned to Cape Cod and started work at Nickerson and Berger, a long established Cape Cod firm. 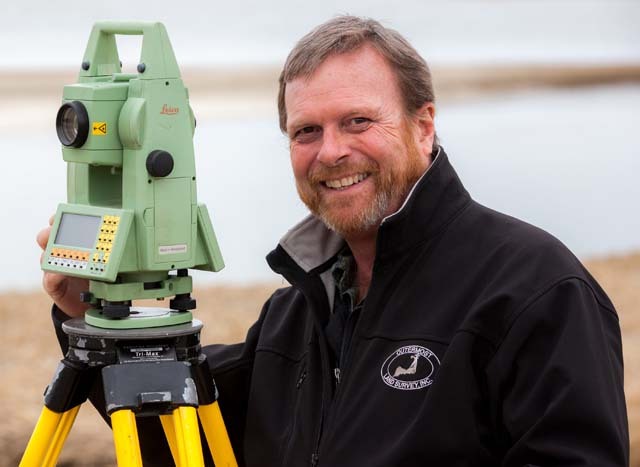 Nickerson and Berger was purchased by Coastal Engineering Company, Inc. and Mr. Poole continued on as Director of Land Surveying for 18 years until founding Outermost Land Survey, Inc. in 2002. Mr. Poole pursued certification as a Federal Land Surveyor (#1499) in order to understand the Public Land Survey System and broaden his knowledge concerning Indian Lands. More recently Mr. Poole completed training as a Mediator in conjunction with Cape Mediation. It is Mr. Poole's belief that in a dispute, neighbors can work out solutions that will be more satisfactory than a court ordered decision. 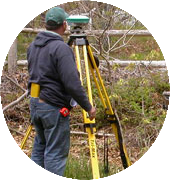 Mr. Poole's land surveying experience covers many facets of land surveying, such as, Boundary Surveys and Land Court Plans, as well as expert witness testimony in boundary disputes, access rights, and land-use issues. In 2014 Mr. Poole was chosen as Massachusetts Land Surveyor of the Year in recognition of his work in furthering the Land Surveying Profession. He serves on the Massachusetts Association of Land Surveyor and Civil Engineers Board of Directors (MALSCE), is the TrigStar Coordinator for Massachusetts, and also serves as President of the Cape Cod Chapter of MALSCE. Outside interests include the Catboat Association, Cape Cod Astronomical Society and the Brewster Sportsman Club. 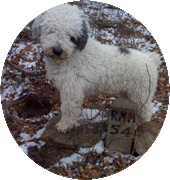 He is an avid sailor and can be found outdoors year round.